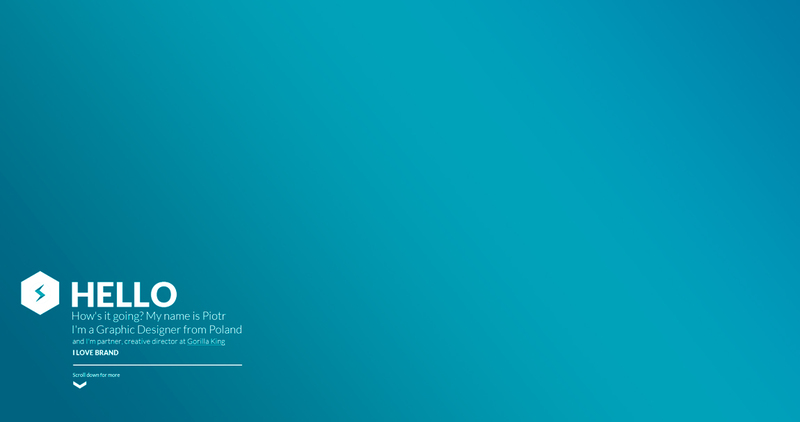 One Page portfolio for Polish graphic designer Piotr Slodyczko that features a background gradient that changes color using CSS only. I like what Piotr is going for with the whitespace and clear Lato type but the responsive is very buggy and the portfolio section arrows need to disappear on bigger screens. Clean design with nice colour gradient made in code. Portfolio section with big project presentation.